Being a human can be tough, but being a teenaged human is even harder. 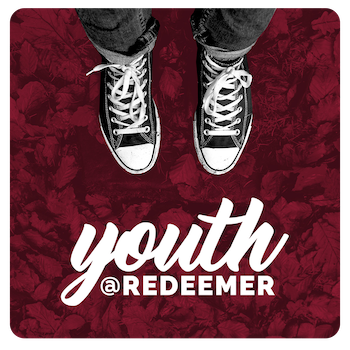 The youth at Redeemer are encouraged to dig deeper into their own personal faith, ask hard questions and learn how to walk more closely with Jesus in a technology-driven world. We believe in the priority of making a connection with God and with each other in authentic face-to-face relationships. Our Sunday night program, Three18, is a great way for us to minister to our students and help them grow in their walk with the Lord. We meet Sunday nights to eat, hang out, and talk about God’s word. This is a great time for youth to learn about who Jesus is and what he has done as we study the Scriptures and apply it to our lives together. All are welcome to join us on Sunday nights at 5:30 at the church or at one of our monthly outings. To get involved or learn more information, please contact our Director of Youth Ministry, Austin Duke.